Hamstring tightness has to be one of the most common complaints from our patients. Even more common is the number of people who tell us they have been stretching their hamstrings or receiving treatment for years with little to no effect. We find this a crazy concept because if something is not working, why continue? How long should it take to regain normal hamstring length? Before we get to that, let’s take a brief look at the hamstring muscles and a simple way to test hamstring length. The hamstring muscle lies on the back of the body, originating from the ischial tuberosity (the bony prominence at the bottom of the buttocks) and extending down below the knee joint line. And through these attachment points you can see how the hamstring muscle can influence the lower back, pelvis, hip and knee joints. So what causes tight hamstrings? Well, the first thing is to determine if the patient has tight hamstrings in the first place. There are a significant number of people who constantly ‘feel’ tight in their hamstrings and yet have normal hamstring length tests. Is there a simple test I can try at home? There is a wide range of tests that estimate the length of the hamstring muscles. A skilled therapist or trainer can take you through these tests and provide you with a score. At the Body Genius Institute, our skilled practitioners often use multiple tests to help us determine if a client actually has a hamstring length issue or not. Even more common is the number of people that have been stretching their hamstrings or receiving treatment for years with little to no effect. For the sake of ease in this article, we thought we would provide a single test you can perform at home. Does the heel clear the vertical marker line? If no, score yourself a 1 on that side. If yes, progress to next step. Now place the vertical marker at the midway point between top of knee cap and front of the hip (that bony prominence you can feel off to the side of your belly button and above your thigh muscle). See blue markers in picture below. Does your heel clear this new vertical marker line? If no, then score yourself a 2. If yes, then score yourself a 3. Now complete this same process on the other side. Obviously, we would all like to shoot for optimal hamstring length, but even a score of two (2) suggests that you meet the minimum standards for hamstring length. A score of one (1) certainly suggests that your hamstring length is dysfunctional and may increase your risk for pain and/or injuries. An imbalance in your score is also not desirable. A 3:2 or 3:1 or 2:1 score suggests imbalances and may increase your risk for pain and/or injuries. So, what is the cause of tight hamstrings? To begin to answer that question we must return to the Body Genius ‘Performance Pyramid’ and discuss a few key concepts. Want a free e-book about the Performance Pyramid? Chronic gastrointestinal issues can create tightness throughout the body, including the hamstrings. This is a huge topic and certainly outside the scope of this article. But certainly, patients who do not respond to either treatment or corrective exercises for tight hamstrings within one week should be thoroughly evaluated from a health point of view. Case Study: A 28-year-old male with tight (dysfunctional) hamstrings on testing is treated for bloating, constipation and chronic inflammation. 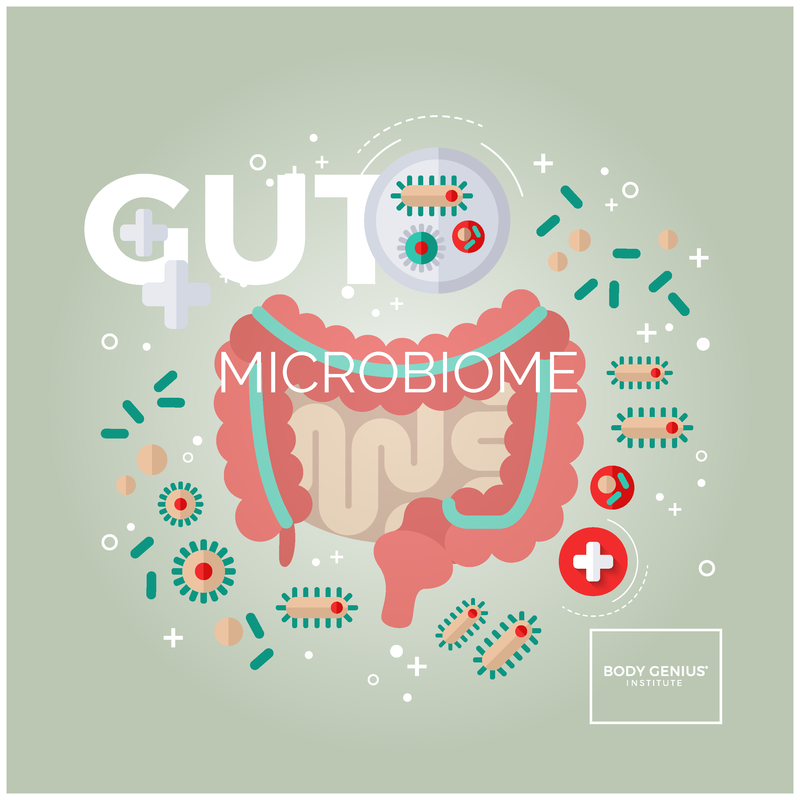 6 weeks later the gastrointestinal system is healing and signs of inflammation resolving. A re-test of hamstring length demonstrates normal hamstring length with a score of (3) optimal. No other form of therapy or stretching was undertaken during this time period. Pain refers to any unwanted symptoms in the body including pain, numbness, tingling, and/or tightness. 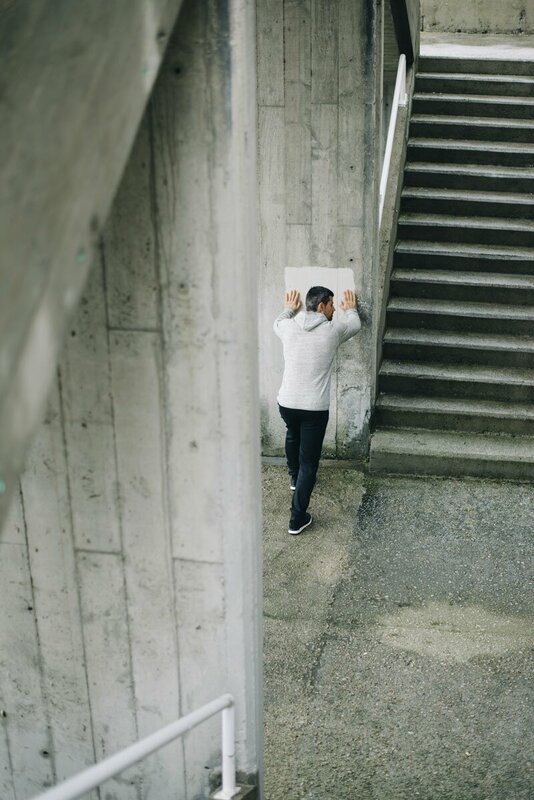 Certainly, if you currently have pain in your body that is affecting your ability to perform the Active Straight Leg Raise (ASLR) test then you fall into the “Pain and Dysfunction” level of the performance pyramid and you should seek professional advice on how to alleviate this pain. If you scored a one (1) on the ASLR test than clearly this would be considered a ‘dysfunction’. At this level of the Performance Pyramid, a skilled Pain and Dysfunction Practitioner will evaluate not only the length of your hamstrings, but also any other factors that may be contributing to your tight hamstrings: Jaw, cervical spine (neck), thoracic spine (middle back), lumbar spine (lower back), pelvis, shoulder complex, breathing/diaphragm, and muscles. The skilled practitioner also wants to make sure there are no structural abnormalities or orthopaedic conditions (such as surgeries) that may prevent you from regaining normal hamstring length. This form of detailed assessment and skilled evaluation is really a form of “Biohacking” to bring about the desired change in hamstring length. Biohacking is the process of using science, biology, and self-experimentation to take control of and upgrade your mind, body, and soul, and have a positive effect on your life. Most simply put, biohacking is the art and science of changing the environment around you and inside you so that you have more control over your own biology and physiology. And this includes normal muscle length. Clearly, we are talking about mobility and flexibility in this article in relation to hamstring length and mobility around the hip and pelvis. So, if you have scored poorly on the ASLR test (dysfunctional), then you should focus your efforts at this level of the pyramid. You will see a wide range of articles on the internet that discuss core stability and gluteal strength in relation to hamstring length. 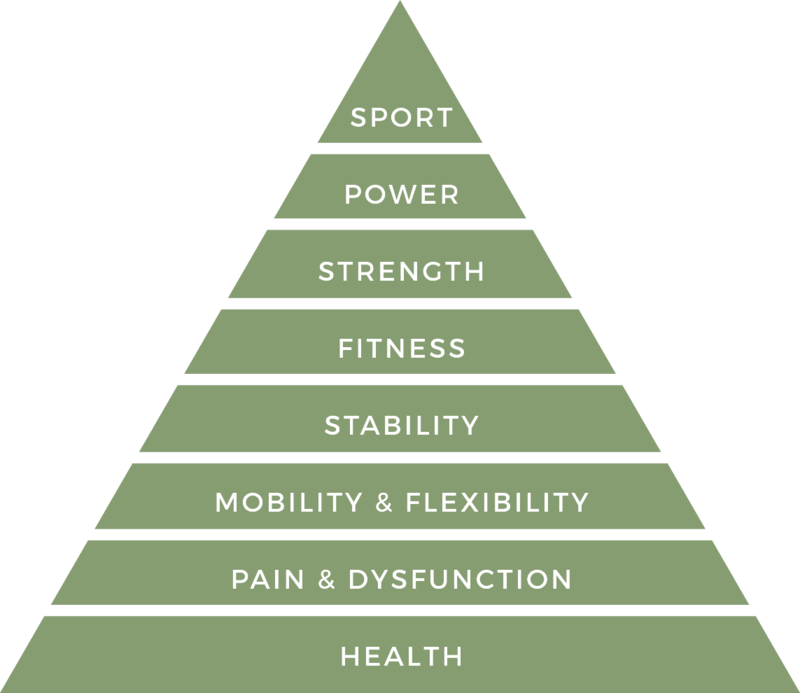 These are certainly valid discussions and reasonable approaches as long as the end result of this effort is improved scores within the ‘Mobility and Flexibility’ level of the pyramid. In other words, improving core and hip stability, without a corresponding improvement in hamstring length is not a desirable outcome. The Performance Pyramid is similar to a ladder, and you must step upwards on each rung of the ladder on your way to the top. Working to improve stability or strength or fitness without satisfying mobility/flexibility is often a recipe for disaster. How long should it take to restore your hamstrings to ‘normal’ length? Assuming that the health level of the pyramid is clear, assuming there are no significant driving factors at the ‘Pain & Dysfunction’ level, and assuming you can find the ‘key’ in your body that opens the lock (your tight hamstrings), then you can restore hamstring length in one week or less. 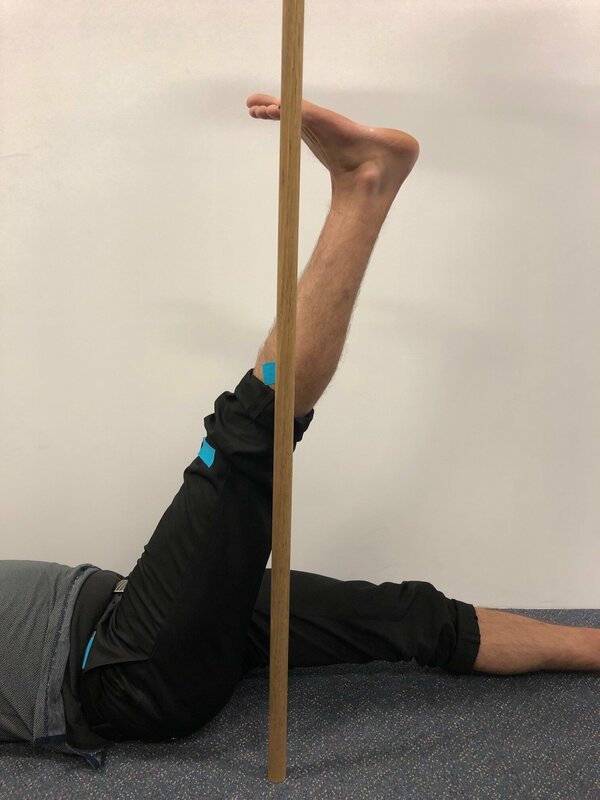 The record at the Body Genius Institute for restoring normal hamstring length in a patient with a dysfunctional score (1) on the Active Straight Leg Raise test is 18 minutes! This patient performed one corrective exercise for 10 minutes every day for 7 days and created an optimal score (3) on the ASLR. And these benefits were maintained permanently. Why don’t traditional hamstring stretches work for most people? Well, the short answer is that, in the majority of cases, tight hamstrings are the symptom, not the cause. In other words, something else in your body is ‘telling’ your hamstrings to be tight. And no amount of hamstring stretching will alleviate that tightness. So how do you find the source of your tight hamstrings? We have already gone through the potential health-related challenges that may contribute. We have also considered orthopaedic problems, injuries and surgeries that may cause muscle length problems. But how is it that stiff feet, stiff ankles, tight calves, tight hips, neural tension, spinal stiffness, and a tight jaw can affect hamstring length? 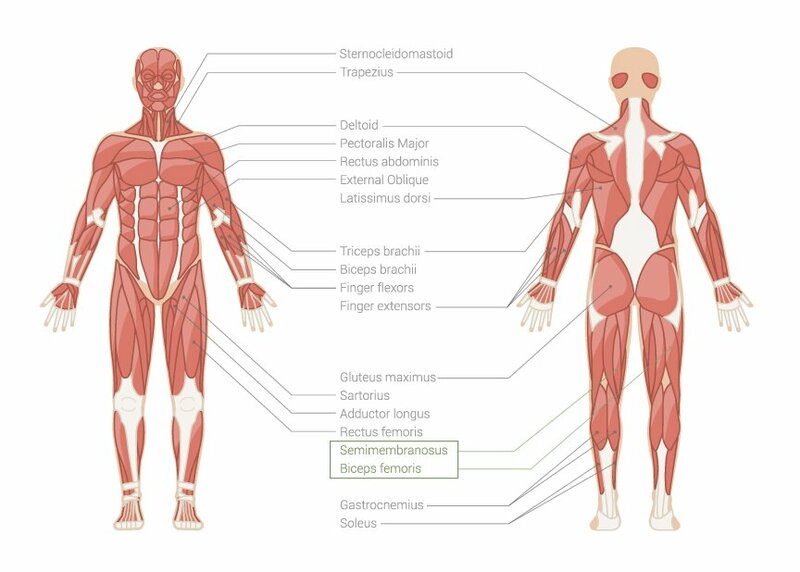 This is a complex topic that involves an in-depth understanding of not only joints and muscles, but also fascia, the lymphatic system and the nervous system. This complex ‘interplay’ of bodily systems would involve a lengthy discussion and likely get us off track. But let’s take a quick look at just the fascial system of body and how this may give us some clues. Fascia is a type of connective tissue that forms a continuous body-wide web inside of us, surrounding and interpenetrating all of our muscles, bones, organs, nerves, blood and lymph vessels. Fascia is a band or sheet of connective tissue (primarily collagen) that is beneath the skin and attaches, stabilises, encloses, and separates muscles and other internal organs. There are four different types of fascia (structural, visceral, spinal, intersectoral). And they are all connected. When it’s healthy, fascia is flexible, supple, and it glides. When it is unhealthy, it’s inflexible, may cause adhesions, resulting in gliding problems and restricting normal movement. The quickest way to establish the cause of your tight hamstrings is to book a consultation with a skilled ‘Pain and Dysfunction’ practitioner. In the majority of cases, the Body Genius practitioners can find the cause of your tight hamstrings in as little as 1-2 sessions. Are you highly stressed? 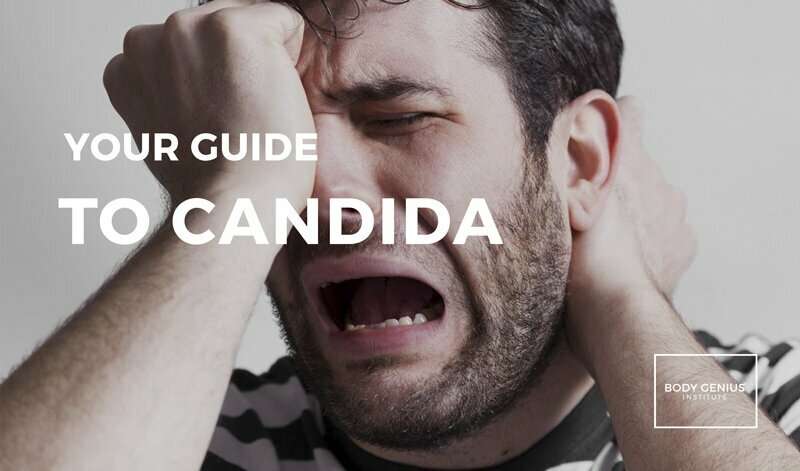 Do you clench your teeth throughout the day or at night? Do you grind your teeth at night? 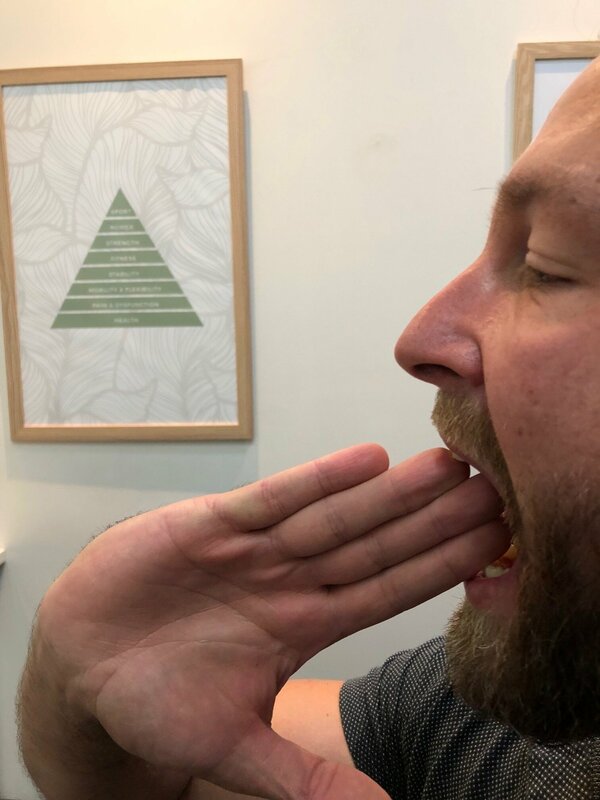 Here is a simple test to establish if you have full movement in your jaw and to estimate the level of tension in the muscles surrounding the jaw. You should be able to open your jaw more than 40 to 50mm if you measure from the tips of upper teeth to the tips of the lower teeth. Another way to measure this is with your fingers. Stack your index, middle, and ring fingers on top of each other. If you can easily fit these 3 fingers between your teeth, then this is normal. If, however you can only fit 2 fingers, then your jaw mobility has been affected. This can be related to muscles or the inner workings of the actual temporomandibular joint. Do you have tight jaw muscles? There are simple self-releasing and massage techniques that you can use to loosen off the muscles surrounding the jaw and regain movement in the joint. Perform 5-8 minutes of these exercises and self-treatments. Now you can answer the question: “Is tightness and/or dysfunction in my jaw contributing to my tight hamstrings? Lie face down on your bed at home such that your knees are straight and the end of the bed is directly under the middle point of your shin. Make sure that your feet are not rotated out to the side (your toes are facing directly towards the floor). On your left side first, pull your toes towards your shin so that you bend (flex) at the ankle joint. Your goal is to first get the ankle flexion to 90 degrees and then see if you can pull it through, 12-20 degrees further into flexion. Repeat this test several times and ‘feel’ and ‘sense’ how difficult it is to get that amount of flexion. How much force are you using? How much tension is in the calf muscle? Normally a skilled practitioner would ensure that the ankle joint stays in a neutral position during this test and could also provide you with an estimate of range of movement. A normal test is to easily pass through to 12-20 degrees of ankle flexion with minimal effort and mild stretch only on the calf complex. Do you have tight calf muscles? Tight calf muscles? Choose your favourite method for stretching your calves now. Perform 3-5 minutes of calf stretching. 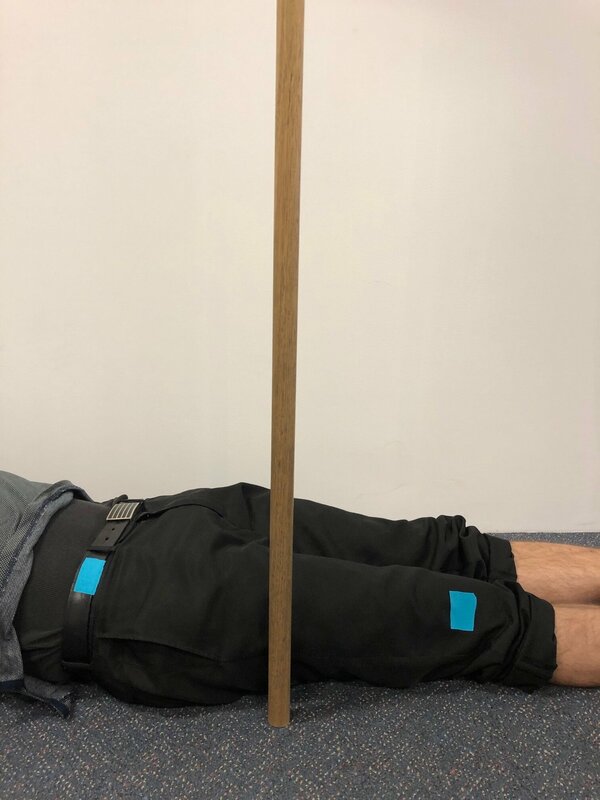 To determine if chronically tight calves are contributing to your lack of hamstring length, go ahead and re test the active straight leg raise test on both sides. 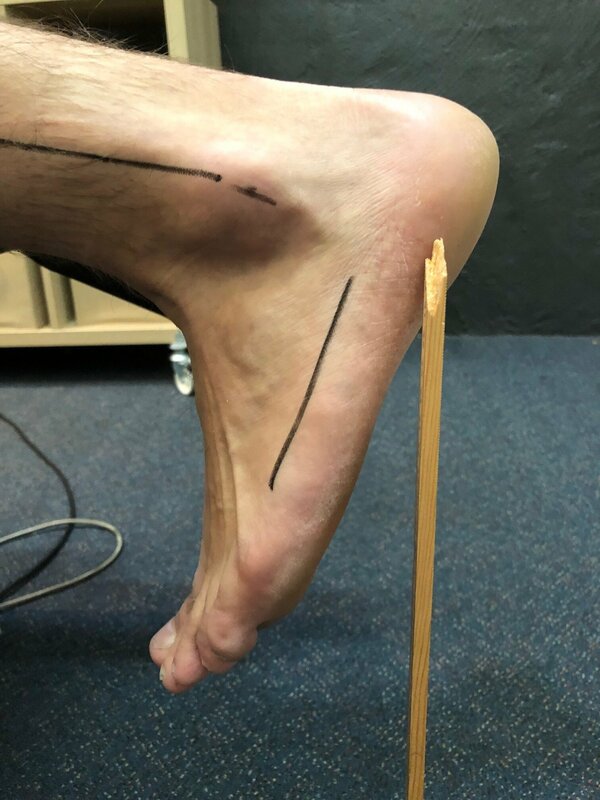 Important: If you performed self-treatment on your jaw and this improved your test results for the active straight leg raise test (you went further), you then need to improve upon that new mark after the calf self-treatment for it to be deemed effective. Make sense? You can now compare quite easily to see if this home treatment has improved your range of movement on this test. Now you can answer the question: “Is tightness and/or dysfunction in my calf muscles contributing to my tight hamstrings? 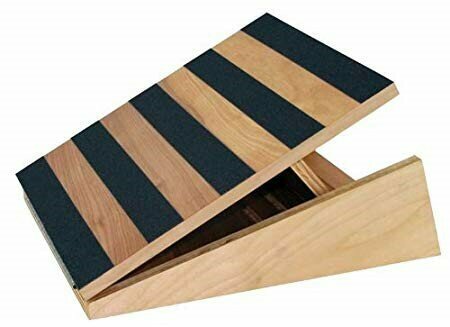 Calf boxes available for purchase from the Body Genius Institute. If both the jaw treatment and calf stretching were effective in improving your hamstring length, then you can ‘play’ with each of them over the next week to see if one is more effective than the other. 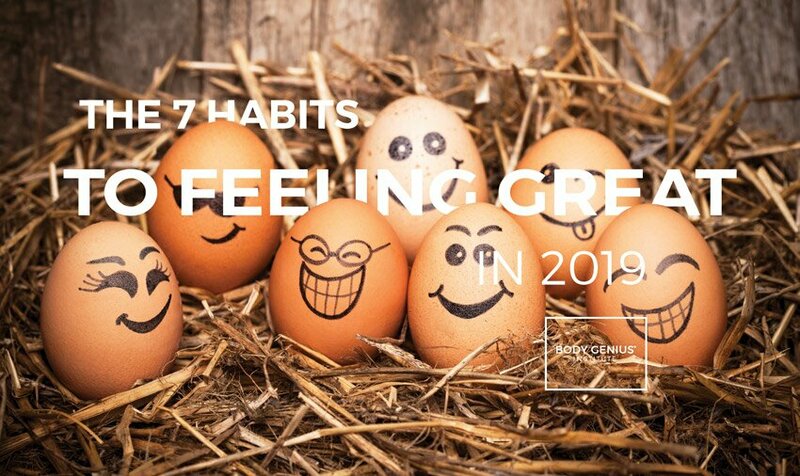 It’s recommended that you perform these 1-2 self-treatments on a daily basis for best results. You can easily check your hamstring length with the ASLR test every couple of days. Progress should be steady and consistent if you have found the ‘key’ that unlocks your hamstring tightness. Remember, your goal is to achieve at least a score of two (2) – minimally functional – on this test. Once you can maintain this score you may only need to perform the self-treatment 1-3x times per week to sustain the benefits. Also protect yourself against the accumulation of stress and strain in these tissues (jaw and calves) by focusing on lifestyle factors such as work/life balance, optimal sleeping patterns, proper hydration, whole food eating, stress-relieving movement activities such as yoga, Tai Chi or walking, and maintaining mental and emotional health. If you scored a one (1) – dysfunction – on this ASLR test and yet neither of these two self-treatments were effective in improving your score, then book in to see one of our skilled ‘Pain and Dysfunction’ practitioners at the Body Genius Institute and we will work with you to find your own personal answer (‘key’) for your hamstring tightness. 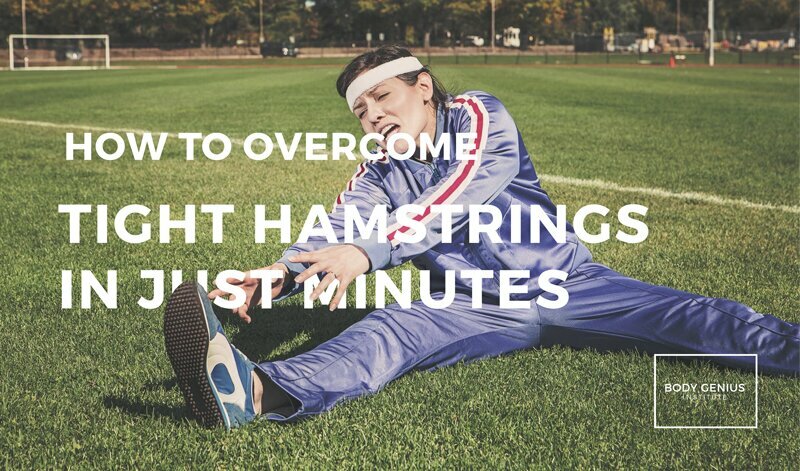 Are your tight hamstrings holding you back? Schedule a consult with one of our Pain and Dysfunction practitioners today and start living to your fullest potential. 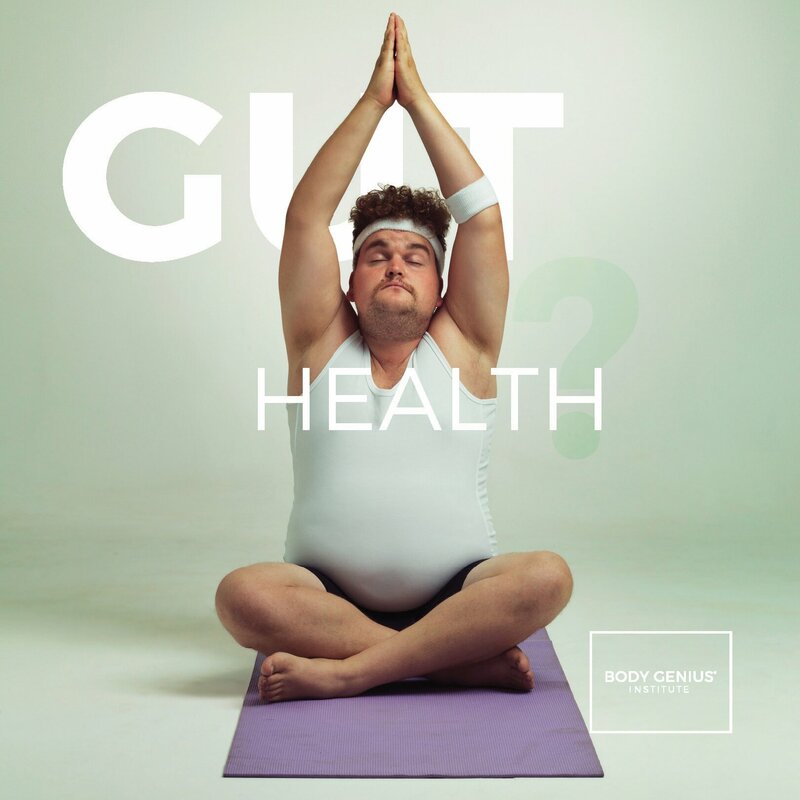 Contact the Body Genius Institute now!